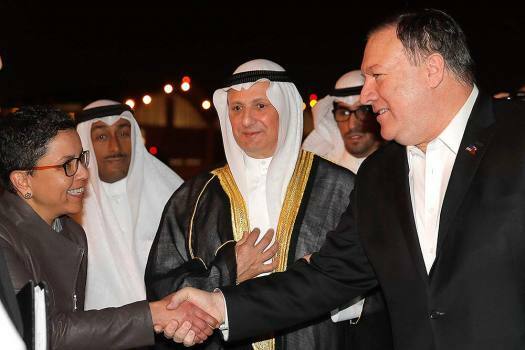 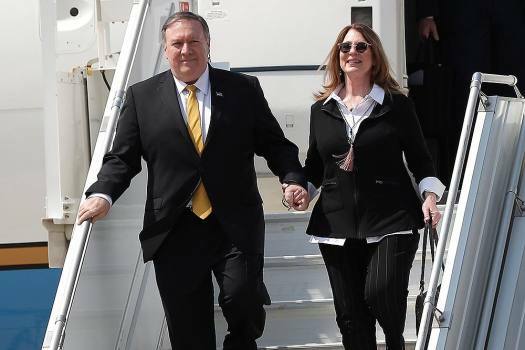 U.S. Secretary of State Mike Pompeo shakes hands with Ambassador Reem Al-Khaled, as he arrives at Kuwait International Airport in Kuwait City, Kuwait. 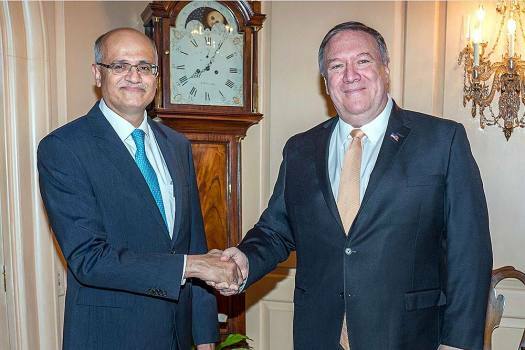 Foreign Secretary Vijay Gokhale shakes hand with US Secretary of State Michael R Pompeo, in Washington. 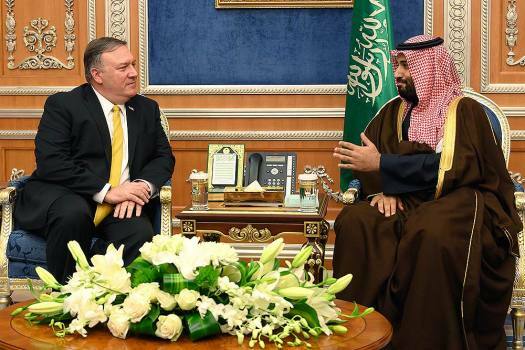 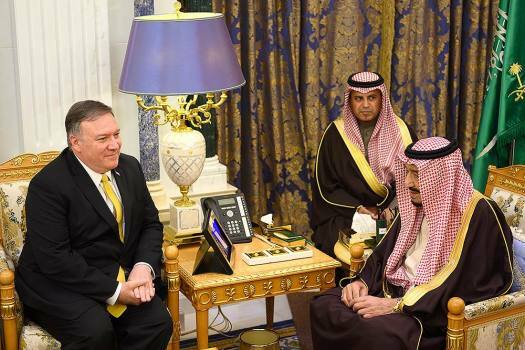 Saudi Crown Prince Mohammed bin Salman, right meets with U.S. Secretary of State Mike Pompeo at the Royal Court, in Riyadh, Saudi Arabia. 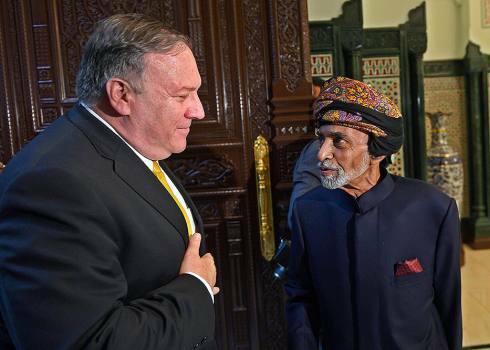 Secretary of State Mike Pompeo meets with Sultan Qaboos in Muscat, Oman. 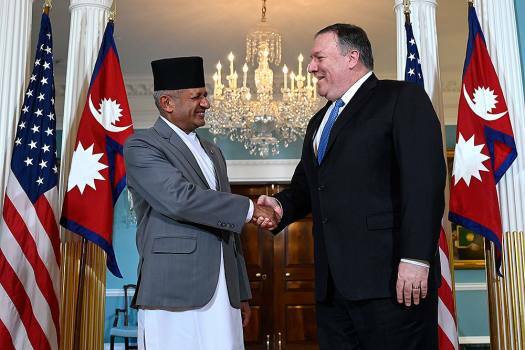 Secretary of State Mike Pompeo, right, shakes hands with Nepalese Foreign Minister Pradeep Gyawali, left, at the State Department in Washington. 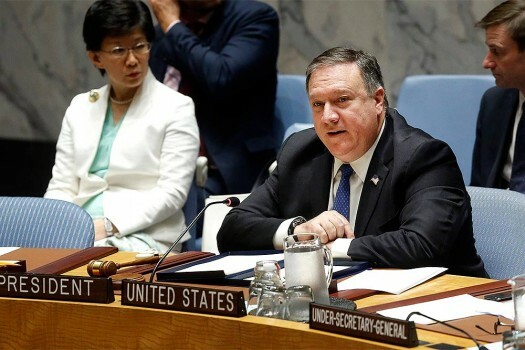 U.S. Secretary of State Mike Pompeo addresses a meeting of the United Nations Security Council during the 73rd session of the U.N. General Assembly, at U.N. headquarters. 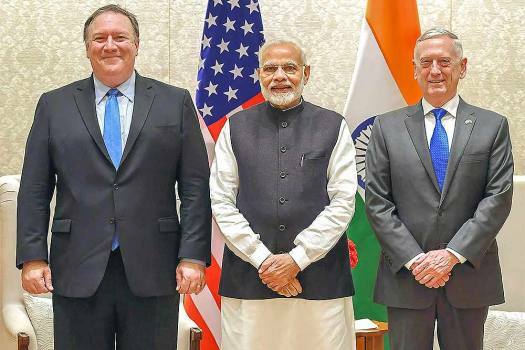 Prime Minister Narendra Modi meets the US Secretary of State, Michael R. Pompeo and the US Secretary of Defence, James Mattis, in New Delhi. 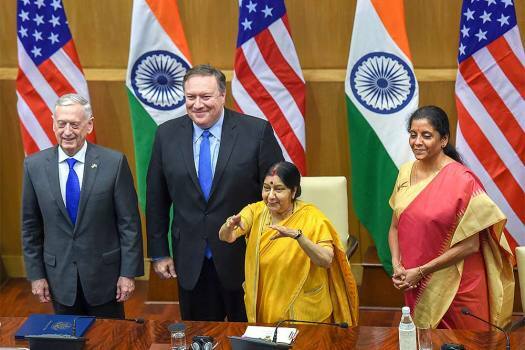 U.S. Secretary of State Mike Pompeo, left, shakes hand with Indian Foreign Minister Sushma Swaraj before a meeting in New Delhi. 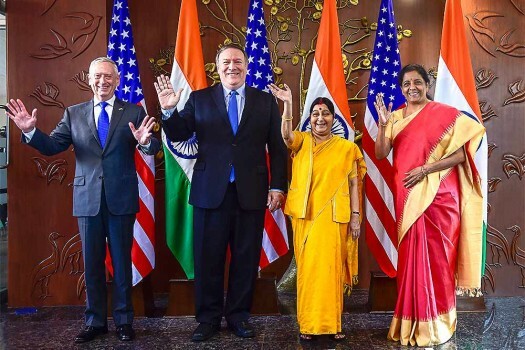 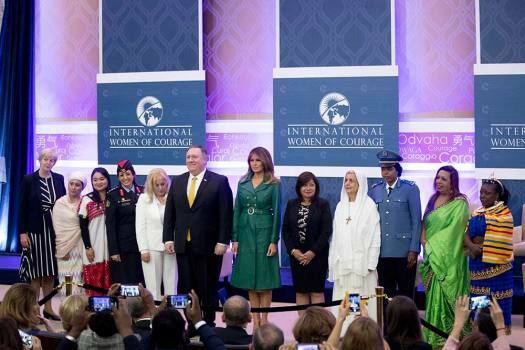 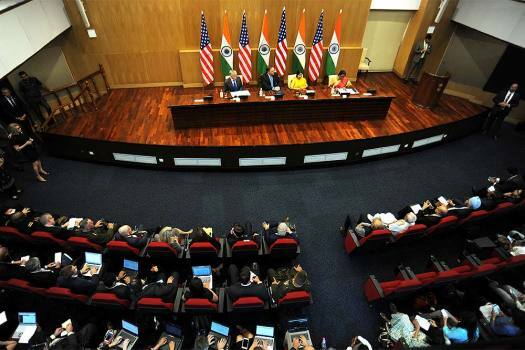 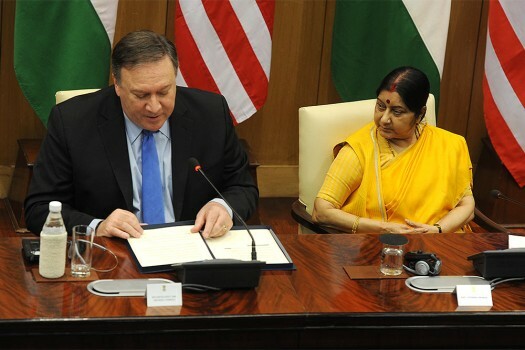 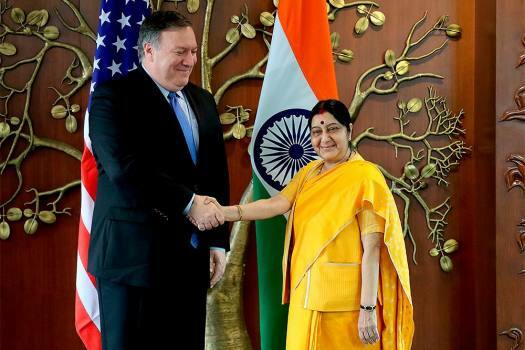 Secretary Pompeo expressed his understanding of India's concerns regarding cross -border terrorism. 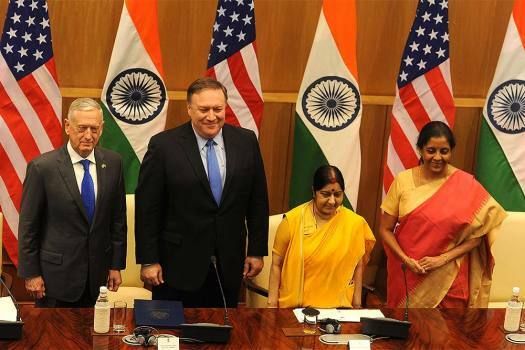 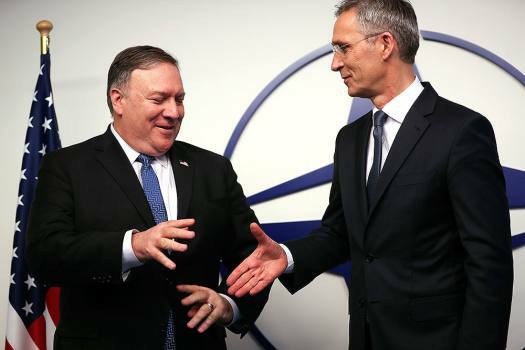 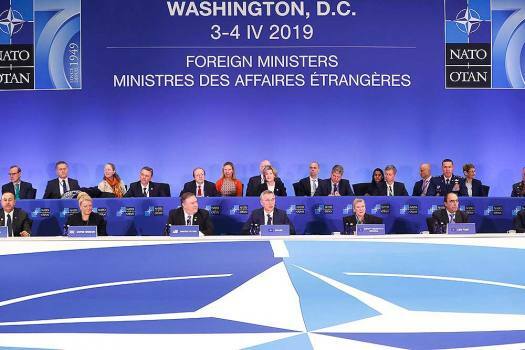 Over the last two days, Pompeo spoke to the leaders of the two countries, including External Affairs Minister Sushma Swaraj, National Security Advisor Ajit Doval and Pakistani Foreign Minister Shah Mehmood Qureshi. 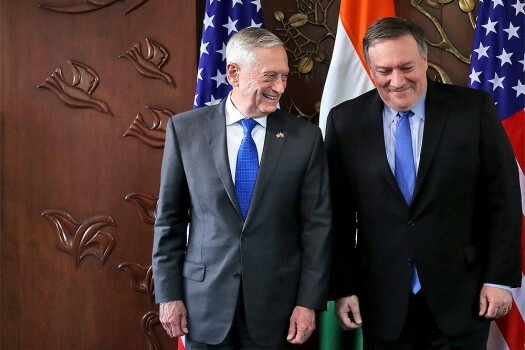 US Secretary of State Mike Pompeo has talked to India's National Security Advisor Ajit Doval amidst tense ties between India and Pakistan in the aftermath of the Pulwama terror attack and New Delhi's air strike against JeM terror training camp in Balakot. 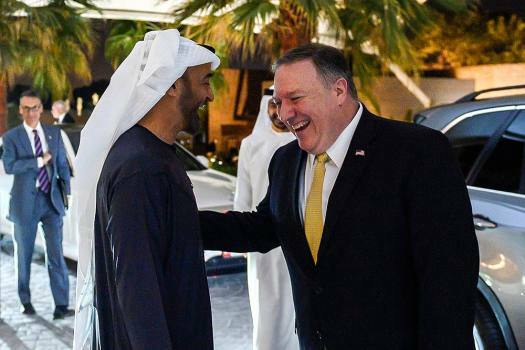 Khashoggi's killing 'violates the norms of international law,' and that the US was reviewing possible sanctions on individuals identified as having been involved.